These LCD Monitor Mounts Are In Stock and On Sale! 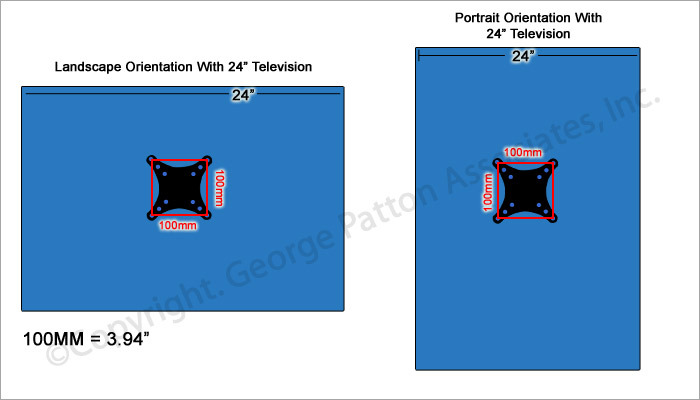 This Site Offers the Best Selection of Affordable TV Stands for All Types of Uses! Visit the Site and Order LCD Monitor Mounts Now! 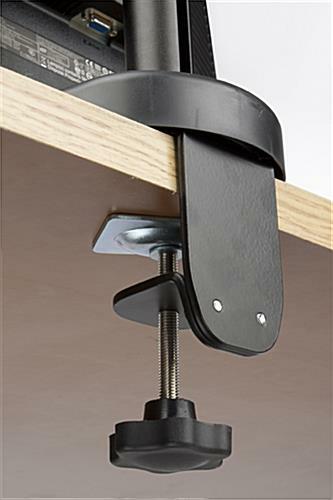 LCD monitor mounts, like these quality flat panel holders, include a removable clamp fixed to the bottom, which can be detached and replaced with the fixed bolt for permanent placement! This security feature is most valued by those that use these stands to safely secure expensive TVs, products and accessories. These computer holder workstations, LCD monitor mounts that utilize desk space efficiently measures 23-1/2" tall! 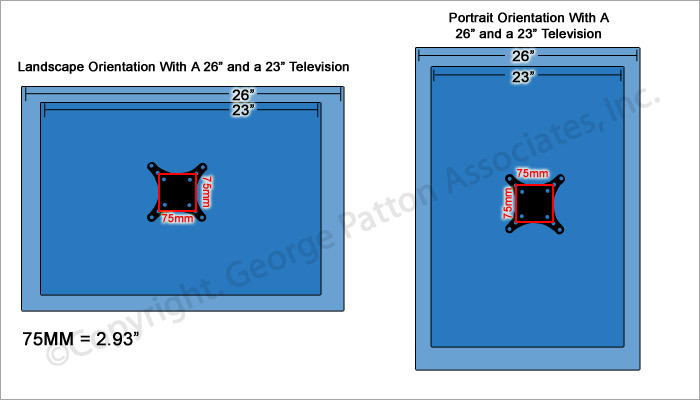 When the TV bracket and tray is aligned parallel to one another, the maximum depth will measure 23-1/4"! 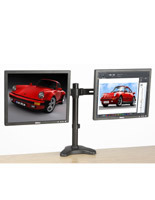 These flat panel stands, LCD monitor mounts can hold (2) computer screens measuring up to 27", only when the shelf for accessories is removed! 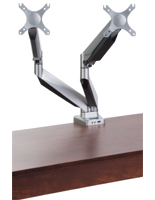 Both arm bracket clamps meet VESA standards and feature articulating qualities that allow users to display digital content to viewers at virtually any angle! Each swiveling display will save a considerable amount of space on a tabletop and can be a great way to organize desk accessories! LCD monitor mounts used for organizing computer accessories can also be an effective way to improve productivity and decrease the lead-time on projects and assignments! All types of designers, advertisers, accountants and other professions that may only have minimal desk space for digital drafting all enjoy the convenient features these stands provide! 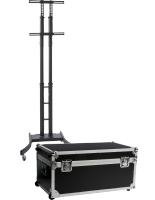 These VESA compatible desk top TV stands, LCD monitor mounts that include a laptop accessories tray are often used at tradeshow conventions to display quick videos containing product information to exhibition attendees! Exhibitors can also use these arrangements to attempt to obtain personal information from attendees as well. By providing a computer to guests, businesses can reassure private information is secure and cannot become lost in transport! An entry can be immediately documented when connected to an internet source which can prove to be a great way to determine the number of visitors to a booth on a daily basis! 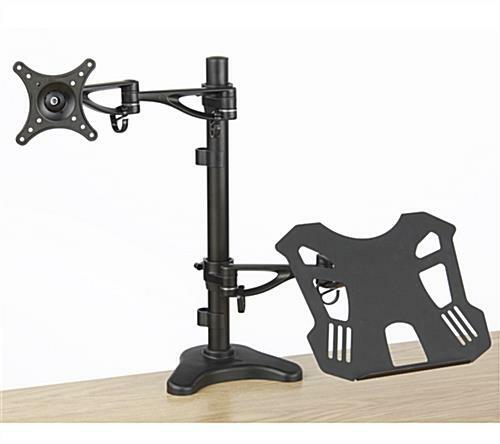 LCD monitor mounts that are compatible to VESA bracket standards are perfect for anyone!